You have to dig deep to unearth the roots of your creative genius but it’s worth it. I loved “Digging Deep” and can’t recommend it enough if you are searching for the roots of your own creative genius. The updated 10th Anniversary Edition of Digging Deep: Unearthing Your Creative Roots Through Gardening is a powerfully uplifting and transformative self-help book for the creatively and spiritually challenged. Overflowing with tips, exercises, and resources, Fran shares the lessons she’s learned from gardening over the past thirty years. If you’re yearning to cultivate more meaning and connection in life, the 7 Stages of Creative Awakening mapped out in the book will help you extinguish the stifling inner voice that says, “I’m not creative,” and replace it with strategies that will help you harness your instincts and live a life filled with joy and creativity. 1. What inspired you to write Digging Deep? I was on all fours in the garden weeding one day when out of the blue, I realized that the transcendent state that I frequently experienced in the garden was similar to what I used to experience while playing the piano throughout my childhood and into adulthood. It is what Maslow calls ‘peak experience. It is this sweet spot—where you lose any self criticism or restraint, let your imagination run wild, take risks, improvise, and play – all the while being mindful of what you’re doing. This extraordinary state of being is where your creativity has an opportunity to jump in and take over. Once I put the pieces together, the light bulb went off: I saw that this is how I had been creating my gardens for the past several years and wanted to share my passion for the creative process in the garden- and life- with others. Creativity is simply the energy of making something new where there was nothing before. We have the potential to do this in so many unmarked ways—from designing our schedules to fashioning our ‘look’, writing birthday cards, to building a business from the ground up. Lawyers create arguments, decorators create ambiance, and parents create everything from learning to a sense of wonder. Every time we get dressed, make dinner, or wrap a gift, we can be creative. In almost everything we do in life, we have the possibility of conjuring up the spirit of inspiration, imagination, innovation, and resourcefulness. Creativity is not something we do; it’s something we embody. I believe the ultimate goal is not to be more creative, but to learn how to live creatively. 3. What would you say to someone who thinks they’re not creative? The first thing I would do is ask them why they feel that way. And then I would listen to their story of why they are living with this ‘non-truth’. I would then ask them to share a time with me in their childhood when they remember using their imagination and being creative. It could be acting in a play, designing their own Halloween costume, decorating an Easter egg—children are so naturally creative that when a person starts remembering wonderful times from their childhood, some awareness of the ‘playful self’ begins to break through. Once the ice is broken and an individual opens up, there’s an opportunity for them to look at how they may already be creative in certain areas of their life that they’re not even aware of. It also allows for an opening to discuss ways that they might want to awaken their senses and learn more about living creatively. 4. In Digging Deep you talk about the 7 Stages of Creative Awakening. Could you tell us a little bit about them? Sure. The 7 Stages of Creative Awakening is a term I developed that leads someone step by step through what I consider to be the creative process. The stages are: Imagining, Envisioning, Planning, Planting, Tending, Enjoying, and Completing. Although I developed them with the garden in mind, in truth, they can be used in all areas of life. For example, Stage One is Imagining: The Sparks of Creativity. Within the framework of that one stage are chapters on Observing, Discovering, Remembering, Exploring, Opening to Possibility, and Playing. In each chapter, I break down the behavior being discussed, share personal stories, and include hands-on-exercises so that the reader can begin practicing and integrating these new elements into their daily life. I call it exercising your ‘creativity muscles’. 5. What simple steps can someone take, right now, to be more creative in their daily life, as well as in their garden? I would suggest that you do something new every day. I use a phrase ‘Try it new.’ If you’re used to driving to work one way, go another. If you ask your kids the same questions every day after school, come up with some new questions (believe me, they’ll be surprised). If you’re in the habit of dressing conservatively at work because you think you should—well, gosh darn it, go out and buy the purple silk scarf or bright red tie that you’ve been yearning for and wear it—with a big smile on your face. Make a pact with yourself that you’re going to do something new every day and follow through on it. It doesn’t have to be a big thing at all. But bit by bit, day by day, the small changes add up. What do you do when you’re blocked and lack the inspiration to write or create? Have you ever been blocked and unable to work on a creative project even though you had a deadline looming? Every once in a while this happens to me. I don’t like to call this writer’s block because it’s temporary so instead I refer to it as loss of inspiration. Loss of inspiration strikes when I’m too stressed and have to write something when time is running out. The more I think about it the more overwhelmed I become and the less I want to do it. All I want to do is escape and avoid it. Usually what I end up doing is surfing the Net and wasting time. After this happened one too many times I decided to put some systems in place to overcome days when I feel blocked. Be prepared for the times you feel uninspired to write or create. 1. Have a supply of topics at the ready. I keep a notebook of writing ideas and jot any and all that come to me. I even write down ideas in the middle of the night on a pad I keep by my bedside. The next morning I will transfer them to my notebook for safekeeping. I also keep a small notebook in my purse so that where ever I am I can record my idea. When I get an idea it’s usually a title. I write down the title followed by a couple of sentences or even a paragraph that describes the basic premise of the article. This way when I refer to it I know where to go with it. I can’t tell you how many times having my notebook to refer to has jump started my writing when I wasn’t feeling especially inspired. 2. Look through the drafts of unfinished articles on your computer. I’ve written many articles halfway through only to be interrupted and never return to them. I never delete these drafts just in case….and they have come in quite handy at times. 3. Use “waiting time” to write. Some of my best writing was done in doctor’s waiting rooms. I’m my elderly mother’s caretaker and at 85 she has a lot of doctor’s appointments so I use the time free of all digital distractions to write. I keep a carry all bag ready with a nice thick notebook and pens that I take with me on her appointments. When I feel stuck or pressed for time I go back through the note book and transcribe an article. You can do the same thing. Are you taking a friend or family member to the doctor’s, grocery store, the mall or to a practice game? If so use your waiting time to write and start building your own stockpile of articles. 4. Record your thoughts. I highly recommend buying a small digital recorder. I take it with me on walks. I find that walking inspires a lot of great ideas for writing. Sometimes I’m so inspired by an idea that an entire article comes pouring out as I walk. The trouble is that by the time I get home I won’t remember exactly what I said so using a recorder helps me capture the inspiration before it disappears. You can use your phone too but I prefer a digital recorder because of its singular purpose. If I were to use my phone I might be tempted to make a call and talk while I walked instead. 5. Ask for intuitive inspiration. If you read Powered by Intuition you know that our most innovative ideas spring from being intuitively inspired. Inspired thinking never comes from the same old thoughts swirling around in our heads. Inspiration comes from our connection to Infinite Intelligence. The technology for transferring this information is via our intuition. The best way to receive constant inspiration is to develop a practice of daily meditation. To get on the spot inspiration take your attention off the problem. Plant the intention that you want to receive an inspiring idea in the next hour. (Yes you can give your inspiration a deadline). Close your eyes and take a few relaxing breaths. Then see yourself in your mind’s eye writing furiously. See the words filling up the screen (you don’t need to know what they say). Just tell yourself that within one hour or less you will be hit by the perfect idea to craft your article. Then go for a walk preferably in nature. Natural surroundings will help you cultivate creativity. If you can’t go for a walk do a chore around the house. Do not watch TV or surf the Net. Stay away from digital devices. Stop thinking about writing and allow your intuition to do the heavy lifting. Get into what you’re doing, be mindful and present in this activity. If you begin to feel anxious reinforce the idea that you will receive an inspiring idea within the allotted time and continue to go about your business. When you are hit with an inspiring idea thank your intuition and Infinite Intelligence and be grateful! Now sit down and start writing about it immediately before you lose it. If you go the whole hour without receiving and idea sit down at your computer and start writing anyway. This is important. You must sit down after one hour and begin writing. Your higher self needs to know you are serious about wanting an idea and wanting it within a certain time frame. Write whatever comes to you and begin to follow this idea. Do not get up and do not stop! Keep writing. At first what may come out are random ideas and you may hate every last one them but keep going. By continuing to write you are priming the pump. Keep writing until the ideas start to flow and they will. Eventually you will receive a nugget of gold that inspires you and you will have your idea for the article. How do you deal with a lack of inspiration for writing or creating? What works for you. Have you ever considered any of these three strategies? P.S. 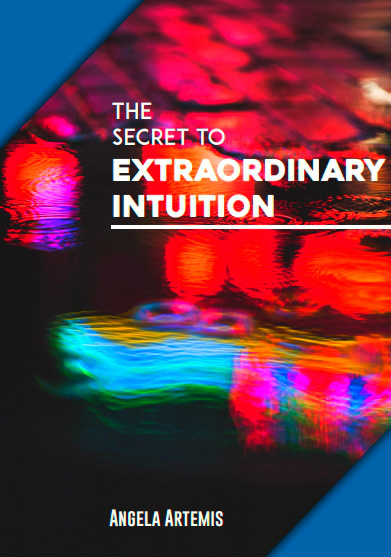 Become more intuitive and learn how to use your intuition to be more creative, solve problems and get answers in your life – click here. 5 Tips for a More Creatively Inspired New Year! Do you want to be more creative in the coming year? Bring forth your greatest vision? Paint, write, sculpt, create or compose? You can and you will when you understand the relationship between your creativity and intuition and how they are inextricably linked by the imagination. The intuitive mind is where our genius resides. It’s the crossroad of creativity and genius. The most creative people are also intuitive and the those who are intuitive are also given to creativity. Developing your intuition takes practice, focus and vigilance to minding those “inner whispers.” And those inner whispers are the source of our greatest ideas that inspire and inform us. The creative personality is highly perceptive. Creatives are keenly observant and highly imaginative. They have a natural inclination to “go within” and have a rich interior life. They can easily spend long periods of time alone with their thoughts reflecting and exploring the many insights and ideas that continually surface. They pick up on things and have the uncanny knack for “reading between the lines.” They also see patterns and connections where others do not and derive meaning from these associations. Creatives are talented in combining ideas in unique ways in order to come up with something completely new. The intuitive personality is also highly perceptive, keenly observant and highly imaginative. They too have a natural inclination to “go within” and have a rich interior life. Spending time alone reflecting upon their thoughts and intuitive insights is vital to keeping the constant stream of intuitive insights flowing. Intuitives also read between the lines and are conscious of receiving impressions of the thoughts and feelings of those around them. They too see patterns and connections where others do not and derive meaning from these associations. They take these impressions and combine them into new and useful insights to gain clarity and understanding about their lives and those around them. Creativity and Intuition go hand in hand. They are two sides of the same coin. And the glue that holds them together is imagination. Ever heard a writer say that they couldn’t stop writing their novel even if they wanted to because their characters keep talking to them? Or, that a sculptor doesn’t see just a block of marble but the sculpture trapped within it? Or, that a composer hears the entire score in their head before they ever put a note on paper? What makes both creativity and intuition possible? Imagination. Intuitives and creatives use the same faculty, their imagination, but in differing ways. Intuitives also hear the voice of their thoughts, produce narratives based on these different voices and see the finished product or an organized whole rather than collection of disorganized thoughts, perceptions and feelings. Their minds assemble all the details that seem to be unrelated and combine them in unique ways to arrive at a conclusion about a situation that other people miss. Both creatives and intuitives place a great value on what goes on in their private world within. A reverence for quiet reflection and listening to whispers within is the secret that stokes the flames of imagination. Both creativity and intuition rely on imagination – only differently. To be creative requires trust in a process of allowing your imagination to absorb all sensory experience around you and then inspire you to take these elements and create or “re-imagine” something from them. To be intuitive you allow your imagination to create and give birth to the images, feelings and sound track for your perceptions without censoring or editing them and need to trust in this process. If you want the coming year to be your most creatively inspired year yet you must cultivate all three attributes because they work together. As a creative cultivating your intuition will ensure that you have a steady supply of inspiration at your fingertips. You also need to understand that your imagination works differently from that of an intuitive. So, put yourself in situations and develop habits that are known to feed your imagination and you will not only see your creativity soar but your intuition will as well. 1. Spend time in nature and let yourself be inspired. Take a walk in a park and admire the natural scenery. Pick up some fresh flowers and set them by your desk and gaze at their beauty and take in their scent. Nature has been stimulating the world’s most celebrated artists for centuries so, it’s sure to work for you too. 2. Listen to music and/or take up an instrument. Making music can help jump-start your creativity. 3. Visit a new place. Take a road trip and get away from your own environment. Seeing something different will spur your creativity and imagination. 4. Listen to those inner whispers and record your ideas. Write down the ideas that come to you. Those inner whisperings from your intuition are your most inspired, genius ideas. 5. Spend time around children. Watching kids play and interacting with them allows you to be playful yourself. Being playful is a known catalyst for creativity. What ways do you find help you be more creative? Share with us. P.S. Turn up the volume on your intuition and be more creative: Click here! By guest contributor Virginia Cunningham. Humans are by nature creative. Sometimes, however, we need a little help to unlock our true artistic potential. Using mind mapping can not only help you get a clearer picture of your ideas, it can also encourage you to focus and expand on those ideas. As an enhancing tool – mind mapping enhances your creativity, your intuition and problem solving skills. On top of all of that, it enables you to better understand yourself and your strengths. Essentially, mind mapping is a technique that uses a diagram to map out information in a visual manner, in which there is a main category in the center of the map, branching out into subcategories in a hierarchical form. Thus, you can relate and group information together efficiently; it is a structural format to force you to think outside of the box. As it is visual, it keeps you engaged to concentrate on your thoughts. Mind mapping is a great way to brainstorm, organize and keep track of goals and objectives, and make those artistic connections.They can spark breakthrough ideas and intuitive connections of where content should be and how content relates – you can visually see if your thoughts are in the right place. Sometimes your mind doesn’t follow the conventional way to solve a problem; however, at times, following the norm can become repetitive and mundane. If your gut or intuition tells you to do something in a different and innovative way, perhaps you should follow that instinct. With the help of a mind map, we can better understand our ideas and develop solutions. In understanding our ideas, we learn and know more about ourselves and our place in life. Just like our intuition, sometimes our creativity can be elusive because we don’t pay attention to it or use it often enough. Your creative spirit may be dormant; however, you can awaken it through the use of a mind map. A mind map can help you obtain a better grasp of your creativity, pull experiences from the past and present, and utilize your overall physical, mental and emotional resources. The end result of your mind map focuses on the roots in your intuition – your creativity and intuition combined provide you with that unique angle and approach to your work to creatively solve problems in your life. With a mind map, you can take a moment to look at a visual depiction of your thoughts, make sense of it and pay more attention to the right side of the brain we refer to as the more creative and intuitive side of our brain that we tend to ignore. A mind map is a creative connection of the intangible to the tangible. Mind maps provide visual confirmation to the thoughts running through your mind. When you flex your creative muscles, you put your feelings to paper and your perceptions are expanded. You can step away or hone in on external stimuli and turn random thoughts into an actual process. Use a mind map everyday when sorting out thoughts to serve as a visual guide to the connection between your creativity, your intuition and intuitive guidance. Creativity and intuition are linked so, working with a mind map will not only help expand your creativity it will also help you to develop your intuition as well. What tools and techniques do you use to enhance your creativity? If you’ve tried mindmapping how has it worked out for you? If you enjoyed this post share it with a friend on FB, Twitter or Google+. Thanks! P.S. 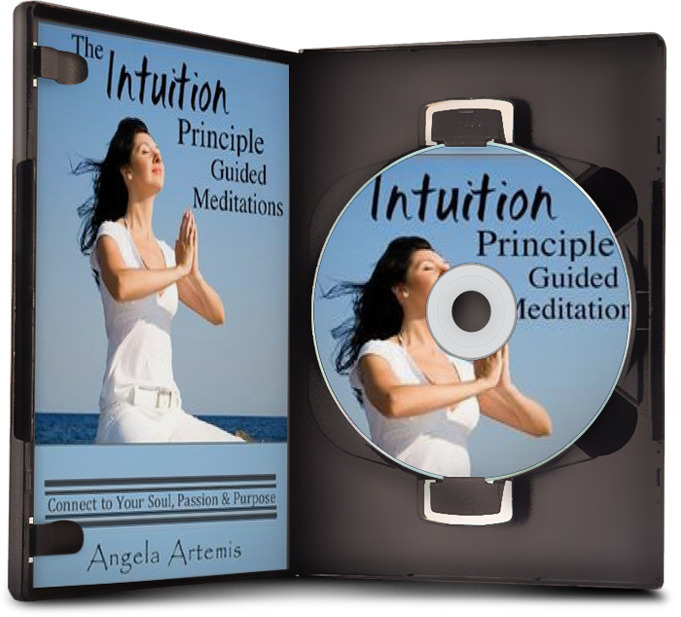 Easily enhance your creativity by developing your intuition: Click here! 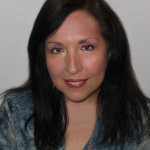 Virginia Cunningham is a freelance writer from California whose writing covers a range of different topics, including health and supplements, dining and travel and business and marketing. Have you ever wondered what sets the creative genius apart from the rest of us? The innovative thinker has 5 character traits that contribute to their creative genius. The rebellious individual is always asking, “Why? Why do we do it this way? Why don’t we try it that way? Why does this work and that doesn’t?” Constantly asking questions that shake up the status quo is one of the key strengths of the creative rebel. The like interacting with many different types of people from a variety of socioeconomic, career and cultural backgrounds. They are sometimes a bit odd themselves but, are okay with that. Never feeling as if they fit in anywhere they seek out many different types of people in an effort to find out where they belong. Exposing themselves to many different types of people creates a lot of raw material for innovation. The person with an interest in what is going on in the world is exposed to many new ideas and trends. Their keen skills of observation and will spur them to seek the meaning behind the trends that shape events.The information they gather from observing and seeking to understand world events will come into play when they are coming up with an innovative solution. They will take the public speaking class even though they have been afraid of public speaking all their lives. Every time they push themselves to do something they overcome some fear and a limiting belief that held them back. In doing so they gain valuable experiences that will someday help them to come up with a creative solution. I would add one more trait to this list and this is – being intuitive. 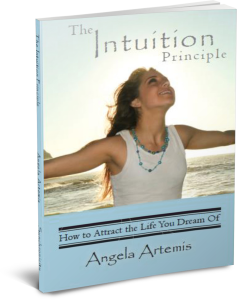 Intuition is the ultimate “associational thinking” process. It is the intersection of creativity and genius. It illuminates the mind with a brilliant idea that feels as if it came from “left field.” When creative inspiration strikes it appears in your awareness quite suddenly. The “aha” moment occurs after an exhaustive search of all the memory banks of your brain. Your brain has gone on a mission to seek and find the answers by looking in every file in your brain. When it finds the answer it brings it up from the depths of your memory banks where it has been safely stored for years and perhaps decades and flings it upon the screen of your awareness. That is why if feels like it “popped” into your mind. You had forgotten about this information until the brain searched and found it and brought it to the surface of your awareness very quickly. To incubate ideas like a creative genius you will need to develop these five traits. 2. Expand your horizons beyond the group of friends you’ve had all your life. Expose yourself to different people and cultures. 3. Take an interest in world events. Seek to understand why things happen as they do on the stage of the world. 4. Push yourself past your limitations and fears. Constantly seek new experiences. 5. Develop your intuition. Set aside time every day to meditate, get quiet and allow it to percolate. Honor these flashes of genius. These five traits are critical to associational thinking. The person who can take unrelated ideas and put them together in an entirely new concept is an innovator. But innovation doesn’t happen in a vacuum. You’ve got to come out of your shell and place yourself in different environments and around stimulating people or you’re not going to come up with new and creative ideas. You’ve also got to stop trying to fit in and be like everyone else. If you’re a little a “different,” celebrate this characteristic. Chances are you probably already possess some of these traits. The more you work on developing all of them and feeding your mind new and stimulating experiences the more of an innovative thinker you will become. Can you see how these traits contribute to being an innovative thinker? Which do you already possess and which ones do you need to work on? Enjoyed this post? Share it on Twitter, FB & G+. Thank you! To learn more about how to cultivate your inner genius check out these books – click here. Have you ever met someone or watched someone work on the computer and noticed that they always knew what to do?